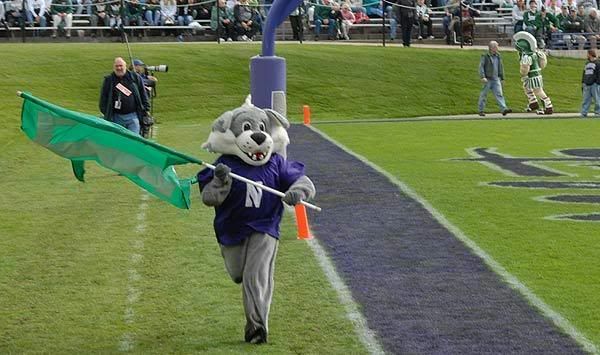 After 4,888 posts dedicated solely to Northwestern Athletics, what else is left to say? What started as a seemingly innocuous experiment combining a personal passion with a crash course to enhance my profession on June 27, 2007 (Taking the Purple Plunge) ends with this final LTP Post on January 15, 2015. I’ve already gone to great lengths to explain the reasons for why it was time to hang up the blog. You can read the two part series here – Closing Time Part I & Closing Time Part 2. This site will remain live for years to come, but now the role of LTP will be a living, breathing archive of living up to a promise – “a daily dose of Wildcataganda” – for a significant span of time. Hundreds of you have expressed your effusive praise, thanks AND sense of loss that comes with our daily ritual of pulling up a chair a the virtual table to rejoice, lament and share the roller coaster ride that accompanies any passionate fan’s experience during the season. I know you feel like you know me and I feel as though I know you. We are all bonded by one universally shared common bond – our love of Northwestern. 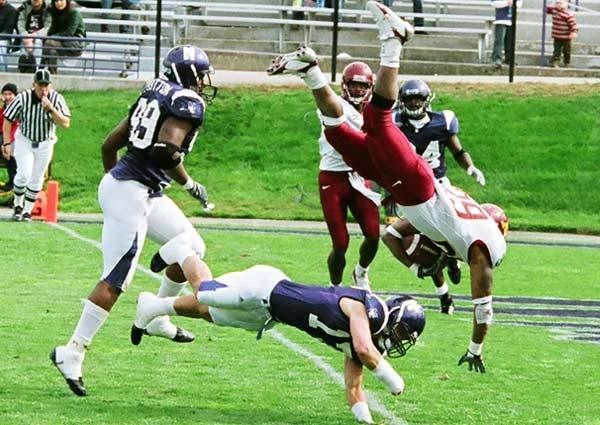 For some it is limited to a single sport, like football. For others, particularly alumni, it has had a transformative impact on our lives. It has for me. I’d be lying if I didn’t admit today was an emotional one for me. On the one hand I’m sad about partially cutting the cord on what at some level had become part of my identity and purpose. On the other hand, I’m thrilled to embark on new hobbies, new adventures and really going all-in on family and work in that order. Once I knew it was time for me to end LTP, I specifically picked the final post date to be the day after a Northwestern – Illinois basketball game that I knew I would attend. In my own Wildcat warped sensibility this made complete sense. After all, my very first laking of a field goal post occurred in my freshman year (1991) when the ‘Cats, dressed in all purple special uniforms (an idea way ahead of its time) upset the then Top 20 Illini in a game at Dyche Stadium. Gary Barnett’s upset of the Illini in a 20-point fourth quarter comeback win in Champaign in his first season (1992) was the moment that several of us went all in on believing in the “Expect Victory” coach. I felt by scheduling the final post to coincide with Chris Collins’ attempt to move to 3-1 against John Groce would somehow mark another milestone for the rising men’s basketball program that someday we’d look back upon and point to as one of the many “signs” that revisionist history affords us. I do believe that. I also believe that while we didn’t reach our stated goal of selling out Ryan Field and Welsh-Ryan every game with almost all purple, it can happen. I am also telling you right now that WHEN Northwestern makes it to the NCAA Tournament I will come out of retirement for one post, but more importantly, we’re going to have a party unlike any other first round site has ever seen. Some unsuspecting small city like Providence or Boise is going to get overrun by the largest mass of passionate, purple-clad folks they’ve ever seen and I’m telling you right now it will be the single highest ticket demand for an NCAA first round game. As I’ve recently shared, LTP has had a profound impact on my day job, which is more than a day job. I am the CEO of TeamWorks Media, a purpose-driven marketing company that helps inspire our clients audiences to care about them. Whether you’ve got a product or service with purpose (many of our clients are for-profit) or you want to authentically create purpose within your organization, that’s what we do. We tap in to the essence of clients’ brand stories and then help them strike the emotional chord that converts them to engaged brand advocates. Sound familiar? Yup, very much like what has happened here, we do on a daily basis. I’d genuinely love to get your feedback on our brand new website (at the time of this post) and I’d be curious to get your take on the LTP-like tone, if there is one. I joke about the “day job”, but as you can likely imagine, I LOVE my job and I bring the same passion and intensity to TeamWorks that I brought (yikes, even the past tense hurts) to LTP. It’s as trite as time, but the life is too short to spend so much of your time not doing something you love has been one of my guiding principles in life. During the LTP era, you’ve seen a ton of our company’s work that directly relates to Northwestern. 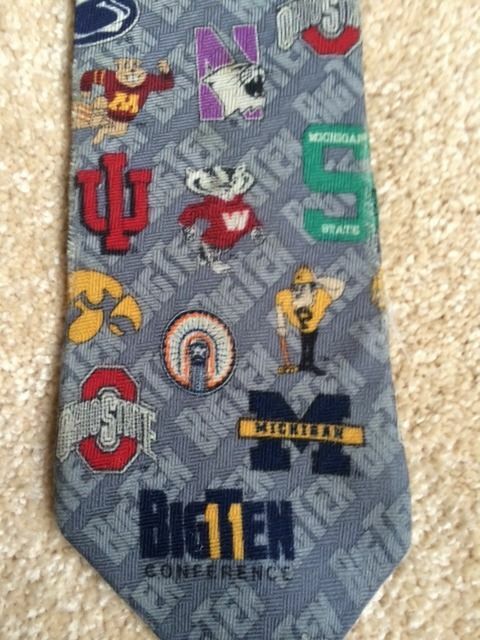 We’ve done dozens of campaigns for the Big Ten Conference, most recently the B1G Map spot you see in every game. We also run BTN’s cause marketing platform – BTN Live B1G and we produce Northwestern-related content year-round. BTN Live B1G – Honor Flight – one of many spots running in BTN live games that shows off NU-related folks making a positive dent in the world. One of my personal favs sice Under Armour came out with a very similar “I Will” campaign a year after this…. At the time of this post, I do have some things in the works that would very much help continue my ability to “spread far the fame of our fair name” so be on the lookout in the coming months and years for some positive Wildcat-related projects that you’ll know about hopefully by feel alone (aka “that seems like an LTP thing!”). Our friends at InsideNU.com are carrying the torch of daily original Wildcat content in the fan blog category and I invite you to visit if you don’t already do. Additionally, guys like Louie Vaccher at WildcatReport.com and Chris Emma at Wildcat Digest will continue their respective beats. There is no loss of opportunity to consume daily NU content. I’m confident there will be other torch carriers of the purple passion in the digital world in years to come and perhaps one of them is you. I’m happy to spare you a lot of learning curve should you want to do so. Your perspectives weighed in to many of the above creative ideas. And so many of you influence the purple positive in your own way. Let’s continue to do so. As I’ve said to many of you, I’m not going anywhere. You can find me every Saturday in the fall along with my wife Tanya, my three daughters, my father-in-law and a host of friends in the west lot of Ryan Field as far north as you can possibly go. We nestle up against the trees and fly a green Dartmouth flag (in addition to the Northwestern one, of course) in honor of “Mrs. LTP’s” first love. I also attend many hoops games and sit in Section 211, row MM (never quite learned how to leverage the LTP factor in to better seats). I’d love to see you, but just give me a heads-up if you want to swing by the tailgate so we can plan accordingly food and beverage wise. I will be very much reaching out and taking you up on your offers to connect when I come to your city, so be careful what you asked for! Thank you for your support, daily readership and engagement. As much as you believe I have done a service from you, I feel as though I am the one walking away with even more fulfillment and that’s because of you. I’ll see you soon. Good day Wildcat fans. Good day. Go ‘Cats. This entry was posted in Top Story, Uncategorized. Bookmark the permalink. Thanks for everything, Jay. Best of luck. Go Cats! Buffalo_Joe speaks for me. Farewell LTP….. I will miss my daily checks of LTP posts and enjoying the different points of views expressed by loyal followers who I came to know very well although never meeting them in person. Although there are other NU sites, what made LTP special was your personal passion for sparking and maintaining fan interests in taking NU football to higher levels as embedded in your posts. Other sites just report the facts which make them bland and no different than the many other similar sites. In this respect, I note that such sites unlike LTP usually have no or only a few responses from readers to their postings which underscores the lack of unfettered Wildcat passion expressed by their writers. Perhaps a site which aspires to being a replacement for LTP could use some TeamWorks Media assistance or LTP advice on how it succeeded in generating a solid fan base including key NU administrators. Thank you again for rallying and supporting LTP readers during the roller coaster seasons over the last seven years. You will be truly missed by us. Thanks LTP for this site, which cannot be replaced in my heart. I’ve checked out other on line NU communities, and there is simply no comparison. This was a place to vent, to learn, to get inside scoops, but mostly to share. I will miss everyone, yes, even the nasty bits, so very much. I learned lots. Go ‘Cats! Cheers! Prior to the miracle football season of 1995, none of us who lived through the Dark Ages even knew if there was such a thing as Wildcat Nation. We were largely an anonymous and splintered group, so tired of the water cooler taunts after the latest in an interminable list of NU athletic defeats that we often went to great lengths to disguise our alumni status. As has been chronicled on this site many times, the sea of purple that flooded the Rose Bowl on 1/1/96 was tangible evidence that indeed thousands of people from all corners of the country cared deeply about Northwestern and wanted a way to stay connected with their University. For the past seven years, Lake the Posts has provided a critical vehicle for staying in touch on a daily basis, but more than that, LTP has elevated the Northwestern community to a previously unknown level of camaraderie and solidarity. We will miss you, Jay, but we eagerly await reconnecting with you at the first Big Dance to which NU is invited and at the next Rose Bowl game that has Northwestern emblazoned in purple in one end zone. Here’s to you and your family…salute! Hasta la Vista, Au revoir, Arrivederci, Auf Wiedersehen, Adeus, Tot ziens, Farvel, Do svidaniya / До Свидания, Żegnaj, Sayōnara / さようなら, Zài jiàn”/ 再见, Annyeong / “안녕 …………. Never good bye, always see you later. Jay and Co – you guys really did Spread Far the Fame. Go Cats! Fitz: Did they say why, Jay, why the LTP readers want to terminate my command? LTP: I was sent on a classified mission, sir. To publicize Northwestern athletics. Fitz: It’s no longer classified, is it? Did they tell you? LTP: They told me that you had gone loopy and that your methods were unsound. Fitz: Are my methods unsound? LTP: I don’t see any method at all, sir. The offensive coordinator, for example . . .
Fitz: I expected someone like you. What did you expect? Are you a character assassin? LTP: I’m a booster and an alumnus. Fitz: You’re neither. You’re a fan boy, sent by ticket counter clerks, to fill seats. Well done, Jay, well done. Godspeed! Long live the Eric Peterman Reality Tour! Hilarious! And sad at the same time. Is it possible to laugh and cry at the same time? I suppose it is…. The map spot in particular is awesome. Thanks Jay for everything you have done for NU Athletics. Great work at your company. The B1G map is amazing. Best wishes to you, Tanya and your cute girls. Being the dad of two awesome ladies (Mrs. Foster in the N Flag Post, thanks again), I understand how important family is. Daddy’s little girls are pretty special. It is pretty clear that you are a special talent both from your work here at LTP and TeamWorks Media. Your passion for NU Sports is inspiring. It has been a privilege to meet you and participate in your blog. I’ll be sure to stop by your tailgate next fall. Best wishes and thanks for the great ride! Hate reading that. Thanks for all the memories! Go Cats! It’s a sad day, indeed, but thanks again for everything you (and PRR and Ben) have done. Enjoy the well-deserved additional time on your schedule. I love the Map spot. My daughter commented how much she learned from the schools popping up as she attended Penn and thus missed out on the Big Ten experience. I have to say that I will miss LTP very much. My husband discovered you years ago, but only since we moved back to Chicago and began attending NU sports events again, did I catch the bug. Now a day barely goes by that I don’t sneak a few minutes to indulge myself. Thanks for the memories and we’ll see you in Evanston cheering on the Cats. To the posts, we’ll not forget them. Through the years that lie ahead. And the wonderful time we had. The comments when they didn’t stop till dawn. Oh we’ll miss them when Jay’s gone. And let there be no sorrow. It returns with a bright tomorrow. Best wishes to you in the future, and THANK YOU!!! BTW, just checked out your bio on the TeamWorks Media site, and there is a glaring error relating to Northwestern on it. I’ll let you guess what it is. Ha! I just noticed it too. Thanks Jay! I’ve been reading LTP since 2008 and I wonder how long it will be until I habitually fire up the LTP fully expecting some great new content only to recall that, yes, we have collectively lost a piece of Wildcat Nation. Thank you (from a long time reader) – Take Care! It has been a great run – added thanks. Goodbye for now old friend. Will dearly miss LTP on crisp fall mornings. Ha! Apparently we tailgate right by each other. I’ll stop by next fall. Thanks again for everything. You have true talent. Your BIG spots are great… particularly the map commercial. My daughter (3) loves it and says “Go ‘Cats!” every time Northwestern passes by. I will be in Boise, or Providence, or Milwaukee, or Omaha, or wherever it is we take the plunge in tourney. So much more than the best NU site out there. LTP will always have a place in my heart & I know I’ll be back many times to read old posts. To all of the contributors, I can’t thank you enough…I really love you guys. GO ‘CATS ALWAYS!! Great job LTP!! Thanks for your great work on this site and for everything you’ve done for the Wildcat nation. Time for me to find a new daily online fix. You will be missed! LTP – Thanks for all your hard work and efforts. I have enjoyed this site immensely (recently even more than the football games). Your perspective and insight will be missed and never replaced. Best of luck and enjoy the time you have freed up for other endeavors. GO CATS! I opened it up today hoping for a post where the headline read “Psyche”. The perfect headfake. Unfortunately that did not take place. You will be missed. You can rest at night knowing you made a difference to the advancement of NU’s entire athletic dept. You made a difference to the front porch of the school. Quite a lot to be proud of. Great work. As someone who grew up in the 70’s, listening to Wildcat football on the radio with Dad, then actually attending games, this blog was something really special. Cece and SteveR both said it very well – the other sites out there just don’t compare. What LTP did for fans and NU in general was unique and valued more than most of us knew until it was gone. I hope some of the young fans and writers can create something similar, yet take it to the next level, for a university and fan community that are in need of such a place. Thank you, Jay, and best wishes – I will miss your insights, thoughts and enthusiasm. I secretly hope occasional posts will pop up. Go Cats! I haven’t had a chance to post since the announcement, but let me add my voice to the chorus of “job well done!” comments. I’ve read since very nearly the beginning, and will miss being able to come here for my daily dose of Wildcat football. I generally like the B1G map ad, but the music is a bit weird. And someone posted the video that the band did for that song, and it was even more bizarre. Wondering how that was chosen. I’m late on this, but wanted to add my voice to the chorus of thank yous. I started following LTP in 2008 during my son’s freshman year at NU, and it has been a daily “must read” for me ever since. I will miss it! My son says I’m a bigger NU sports fan than him – probably true and due in part to following LTP. 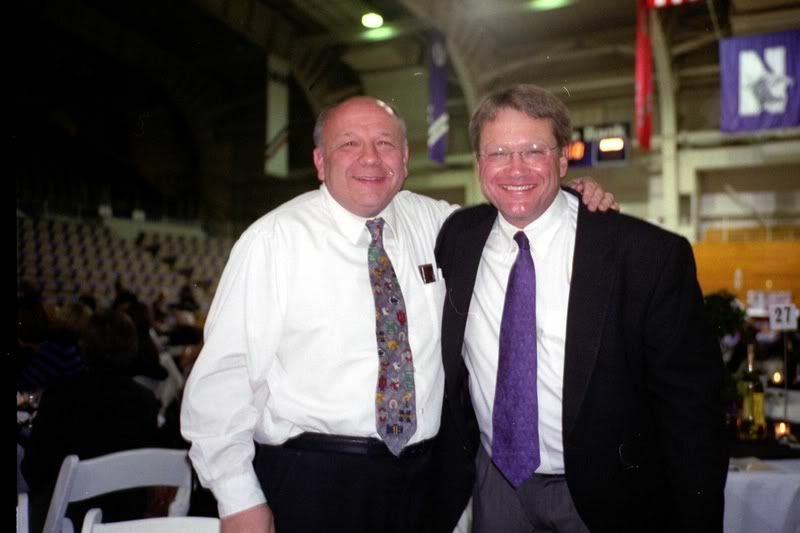 I’ve not posted often – although if you go back a ways you’ll find posts from me in response to comments wondering if the new president Morton Schapiro would be supportive of NU athletics (this Williams alum knew Morty certainly would be, as well as a terrific representative of NU) – but I’ve really enjoyed following the NU community. All the best Jay! “I can not fiddle, but can make a great state from a little city”: Thermosticles. Think you did that and fiddled to Jay. That’s the hope of all NU fans. wow, although I’m a Michigan fan, I often check the blogs of other B1G schools just to see what’s up, and this one was definitely one of the top in the conference. It’s sad to see it go, although it’s also good that Jay is doing what’s best for him and his family. gotta be a graphic designer out here on this blog — can you pls rip the LTP logo with stripes and print some t shirts? proceeds to Jay. be an awesome momento; tribute to this site and let’s be honest gameday uniform. Like oh too many Wildcat football games I’ve been to home and away, I too laughed and cried. Quacumque Sunt Vera, my virtual friend and fellow alum. Am I the only one that checks back every week or so to see if Jay has changed his mind? What about a monthly post??? Stuff has really hit the fan with Men’s Bball since this site shut down….and I keep instinctively checking back for any commentary, at least hoping that this comment section would live on, but to no avail. It might be helpful to remember that Ara Parseghian was 0 and 9 his second year at Northwestern. Is it though? Ha, mainly I just miss this as a place to commiserate. I think bball is heading in the right direction….but the Cardiac Cats have been especially unfortunate since this site shut down. Coincidence???? Jay, please come back or at least set up an ongoing message board with a weekly or monthly post. There would be so many posts about the Mildcats basketball season since you left. Also when things like the Illini switching their next three “home” games to Soldier Field we need a place to share our thoughts and discuss. You are missed more than you know! Me, too! Would love for this still to be a forum for us to gather. Northwestern mens’ basketball wins 4 B1G games in a row for the first time in 48 years, and my first thought is that LTP would have been AMAZING covering that. does anyone else come here wishing it was back? yep, i now have a lot of free time on the metra…. Can’t help but post about how much I miss this site when NU just kicked off the season with a convincing win over Stanford. Johnathan Wood, you read my mind, I am here as well. What a great win today. Miss LTP like crazy, good to see you posting on insidenu.com. Amen. I go to insideNU but it isn’t the same. Miss you LTP. Can you guys get the band back together for crying out loud? We may have a team this year! Damn, I’m missing this site! However, if the comments section is still working, we can carry on conversations! LTP – it’s time to come back! Couldn’t help but come here, just to see if anyone else was thinking the same thing after an almost unbelievable basketball moment. You’re definitely not the only one. It took me a few days, but I hope it was worth it.